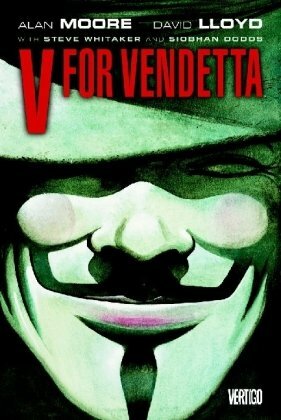 What's the Difference between V for Vendetta the Graphic Novel and V for Vendetta the Movie? The Leader, Adam Susan is assassinated by Rosemary Almond during a parade. Creedy produces and kills Sutler in exchange for V's surrender and to supplant Sutler as the leader of Norsefire. The Prime Minister's residence is the target of V's Viking Funeral. Evey puts his body on board the train with explosives. She then assumes the role of V, wearing his costume and mask. The Houses of Parliament are destroyed with V on the train, and Britain is left to ponder its future as thousands of people dressed in V's masks and cloaks watch the flames.